Cambodia is a country of gods located in southeastern Asia. You can experience here how history, tradition, modernity, animals, and people can thrive together. Cambodia has an area of 181,035 km2 inhabiting 15,957,223 people. With its capital in Phnom Penh, people practice Theravada Buddhism religion. This region fell under Khmer empire that lasted for almost over 600 years. Due to this, you can find featured landscapes and historical monuments even today. These attributes contribute to the eliteness of Cambodia attractions. 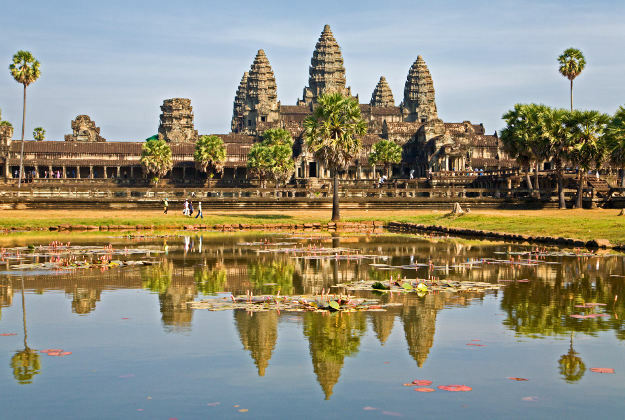 Cambodia attractions account for the second important source of income after textile industry. It is home to the world famous Angkor Wat temples and the preserved natural wildlife beauty. The best time to visit Cambodia attractions is from November to February. The climate at this time remains pleasant and favourable to the visitors from across the world. Angkor Wat, Siem Reap– Angkor Wat temple complex need no introduction. Most of you might already have read about them in your history textbooks during schools. It is situated in the Siem Reap City and witnesses over 1 million visitors every year. Angkor Wat is the busiest and must-visit Cambodian attraction. UNESCO has designated it a world heritage. It was initially a Hindu temple dedicated to the god Vishnu. It was built in the 12th century by king suryavarman II. The temple was then converted to Buddhist temple in the 14th century. You can find thousands of different nymphs’ carvings on its walls. You can also visit Siem Reap River. Other attractions include the rice paddy fields, silk farms, and a boat ride on Tonle Sap Lake. It makes Siem Reap an excellent Cambodia attraction. Koh Ker Temples– Koh Ker temples are located 120 km away from Siem Reap in northern Cambodia. It is an archaeological site that houses hundreds of temples. The Koh Ker temple complex spans across up to 3 km. It is popularly known as the abode of temples and is an amazing Cambodia attraction to visit. It was also the capital of Khmer empire for a short period. Because of this Koh Ker has now magnificent buildings and many sculptures. Koh Ker is featured by a majestic 30-meter tall temple in the shape of a pyramid, Prasat Thom. 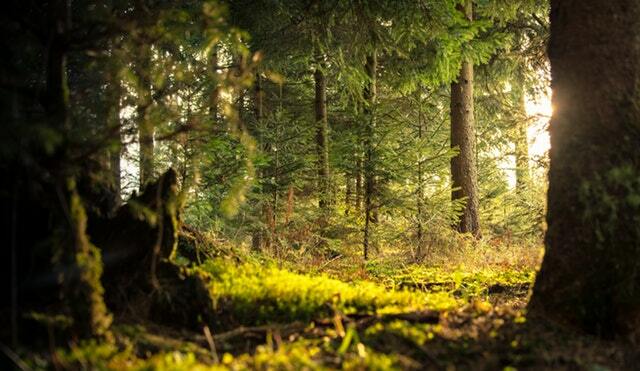 A dense forest surrounds it and can be distinctly seen aerially. Other attractions here are stupa shaped Neang Khmao temple located on a hill, Pram temple, Chen temple, Kuk temple and the Preng well. Koh Rong– Now this is something for adventurers. Koh Rong Island is a popular Cambodian attraction known for its spectacular sandy beaches located in the Gulf of Thailand. You can dive deep into the sea with a snorkel to see some amazing water creatures like squids, parrot fish, sea horses, and sergeant fish. Kayaking and surfing are the other options here. There is also a rope adventure park to try some daring zip-lining. ‘Koh Toch beach’ and ‘Police Beach’ are must visit destinations here. You can spectate many species of butterflies in butterfly farm and an abundance of wild life in a mini zoo. You can also have the glimpse of fascinating bio-luminescent planktons. They illuminate during the night-time. Overall, it is a great Cambodia attraction that you should not miss. Mondulkiri– It is located in the eastern Cambodia. It is enriched with a diverse wild life and thick forest cover along with a number of valleys and water falls. You can click some memorable pics here with your loved ones. This Cambodia attraction homes some endangered animal species of this country. These species include elephants, water buffalo, and leopard. Hill tribes dominate this area and follow traditional culture. These tribes dwell in Phnong houses and mostly hunt for their food. Additionally, you can hike and trek in this cool natural climate and click some great wild-life pictures. A Mayura Zipline ride passing over Bou Sra falls will create an adrenaline rush into you. It will impel you to add it in your best Cambodia attraction places’ list. Preah Vihear– It is a Hindu temple located on a 1,722-foot cliff in Dangrek Mountains. Four courtyards and four levels constitute the temple’s five intricately carved Gopuras. It spreads across over 2,000 feet. This temple was constructed between 12th and 14th century. It is dedicated to god Shiva and lies on the border between Thailand and Cambodia. The most attractive factor in here is Prasat Preah Vihar complex. Carved stone heads and tails of snakes surround this area. It is also listed as the world heritage. Kampot– It is a most famous tourist location in Cambodia. Kampot is also called the land of Black ‘Peppercorns’. There is a picturesque public pavement by the riverside. It has many colonial buildings with a French influence. The nearby old-fashioned town is a gateway to the old French hill station. It is set at 1,080m in Bokor National Park. The hill station offers a pleasant climate and an astounding view. Moreover, you cannot afford to miss Kampot Kampong Trach caves exhibiting ancient ruins. You can River boat while adoring the heavenly waterfalls in this mesmerizing location. It makes this location an awesome Cambodia attraction to visit. Kratie– It is a small town located by the Mekong River. It consists of many preserved colonial buildings with a French influence. You should for sure watch the soothing sunset at Mekong river here. If you are lucky, you can also have a glimpse of porpoising Irrawaddy dolphins. To have this spectacular view you will need to take a boat ride in Mekong River, which makes it a distinct feature of this Cambodian attraction. Phnom Penh– You can’t miss the grandeur of the Cambodian capital when talking about Cambodia attractions. This city is situated at the meeting junctions of three rivers; the Bassac River, the Mekong River and the Tonle Sap river. This is reason why it is flooded with the busy bars and cool cafés. You can view Khmer artefacts exhibited at the National Museum. To collect handmade souvenirs you can visit Phsar Reatrey. The Royal place complex sporting golden spires is a must watch Cambodia attraction. Kep– This place is famous for its ‘Crab Markets’ that offers you some delicious crab recipes to savour. Undisturbed beaches, bottomless statue and glistening white shores make it an impressive Cambodia attraction. You should also visit Kep National Park. It houses soothing waterfalls, the stone house, and little Buddha. This place is best felt in the evening. Led Zepplin Café organizes an excellent instrumental music complemented with a mouth-watering food. Koh Tonsay– It is also known as ‘Rabbit Island’ as the inhabitants believe its shape is similar to that of a rabbit’s. You will be amazed at what this place has to offer you. This includes swimming, snorkelling, resting on shores that extend up to 600 m. You can also chill in comfy beach shacks. To give a treat to your belly, there are a lot of delicious sea food options. This site is located at about 4.5km from Kep. A boat ride is the best transit way to access this place. Moreover, you can also pay a visit to the nearby Koh Pos or Snake Island.